Brandon Brisset, a native New Yorker grew up loving and tinkering with cars. “A lot of my uncles were car handy work men, and they taught me and allowed me to tinker with the cars, too. I even worked at a shop for a year when I was a teen-ager. So, I was really into car design and mechanics,” says Brisset. An outstanding math student, he knew early that he would go to college for something STEM related. Naturally, he choose mechanical engineering, believing it would be his ticket into the automative world. 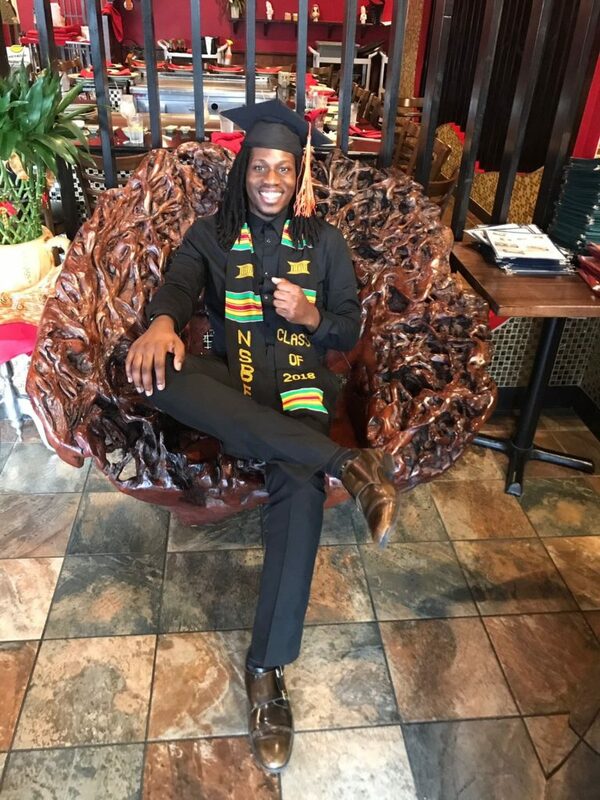 So, after receiving a full-academic ride to Temple University, the 2017 Temple graduate initially majored in mechanical engineering. There was just one catch, car mechanics and mechanical engineering are entirely two different careers. “I studied mechanical engineering for a year, thinking it was about cars. It was only after a summer internship that I realized I didn’t want to study mechanical engineering. After that internship, I switched over to civil engineering,” Brisset chucked. Q. You were raised by a nurturing and loving Caribbean family and you’re from the Big Apple. Everybody loves New York, right? You could have gone anywhere, why did you choose Temple? Honestly, I wanted to get away from home, and be as independent as possible. Temple is far enough away from home, but only a two hour ride back home. The engineering program is great, Temple has wonderful networking opportunities, and I like Philly. Q. I can understand that, there comes a time when we all want to establish our independence. I suppose, having your tuition costs fully covered also helped to make that decision. Which, by the way, how did you land such a sweet deal? What were your GPA and SAT scores? Well, I had a 3.8 GPA in high school, I ran track and field, and I had like a 700 score on my SAT math. I also took the ACT test and did well. Q. Wow! You also took the ACT!! That was a great strategy, because most kids on the east coast only take the SAT. Acing the ACT really made your star shine even brighter. What advice would you give to middle or high school students who plan to go to college? Kids should do all the things they like in the beginning. A lot of my friends realized they didn’t like what they majored in, and then they felt stuck. Two or three years wasted. So, I think it’s best to figure out a path earlier, rather than later. Q. Agreed, figuring things out early, sounds like a good idea. In addition to your academic and athletic achievements, your work with organizations like TechCore demonstrate you have a genuine concern and commitment to community. What inspires you to want to give back? Community service is real big in White Plains. At home, I did a lot of community work, and especially working with youth. In Philly, I noticed a lot of kids don’t have access to things we had in White Plains. I feel it’s my responsibility to give back. Q. That’s a great attitude! Did you have any mentors or special teachers along the way that planted that seed in you? Yes, I did. Mr. “D” aka Mr. Daughery from the after school program. He was like the prime adult that got me into reading, playing chess, and the importance of education. Q. What about books, what was or is your favorite book? Hmm, I’ll have to go back to middle school for that. I’d have to say my favorite book was Monster by Walter Dean Myers. The African American kid in the story was very real and relatable to me. Q. What qualities make a good engineer and what math prepares you for the field? A good engineer needs to be creative, have lots of patience, and has to pay attention to details. You also need to be an adaptable team player, because you will work with a lot of different people who may have conflicting ideas and opinions. As far as the math is concerned, you’ll need lot’s and lot’s of calculus, and yes, plenty of physics, too. You also need to be good at standardized test, because you’re going to take certification tests all the time in this industry. In five years, I want to be a home owner. I was lucky and landed a great engineering job right out of college. In five years, I also hope my hard work work and dedication earns me a promotion.